18 May 2014 – Calling non-crafty people!! Here’s a great way for those who aren’t crafty to impress your friends!! Stampin’ Up! 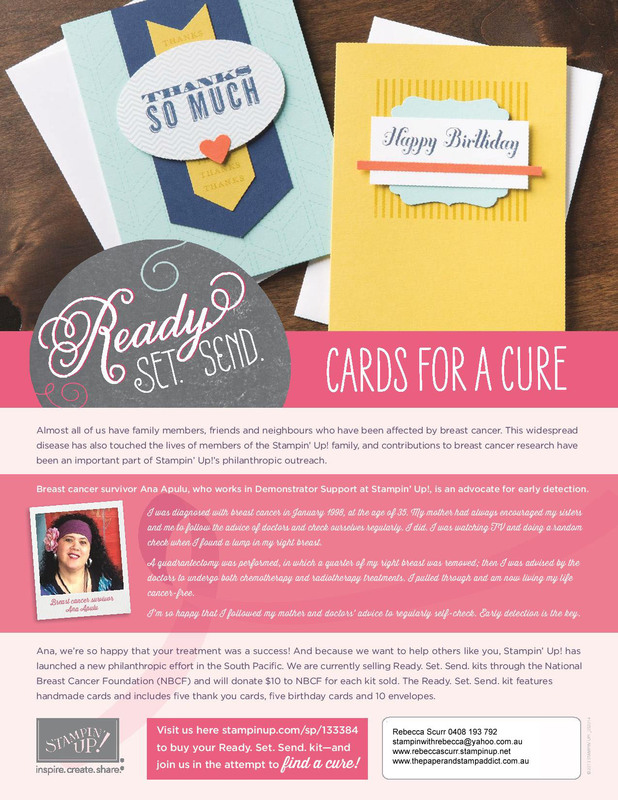 have partnered with the National Breast Cancer Foundation and have created a great set of 10 pre-made cards for you to purchase and impress your friends with!! For $19 you will receive 10 cards, 5 birthday and 5 thank you cards and 10 envelopes. $10 will be donated to the National Breast Cancer Foundation. To purchase, just click here and shop away!! I hope you can support a great cause. « 15 May 2014 – It’s a clear day! !